By D Home | 2 years ago The places, services, and people in Dallas that get all of our likes. By Annie Wiles | 2 years ago Fill your home with these dream weavers' fresh fabrics. By Tara Nieuwesteeg | 2 years ago How Gail Cook's hobby turned into one of the finest antique doll collections in the world. By Holly Haber | 2 years ago Endless statement pieces fill designers Corbin and Sara See's Oak Cliff dwelling. By Connie Dufner | 2 years ago A home envisioned for one big happy family. By D Home | 2 years ago Cement your style with sturdy pieces that cast a minimalist look. By D Home | 2 years ago For those who prefer to keep things on the rocks. By Catherine Downes | 2 years ago Stay sharp with our round-up of local resources. By Catherine Downes | 2 years ago Plus, a highly anticipated interactive garden. By Jessica Elliott | 2 years ago Introducing the new interiors hub. By D Home | 2 years ago We were inspired by the patriarch of modern sculpture while curating a collection fit for a Parisian apartment. By D Home | 2 years ago Tassels, trim, and buillion are back. By Ryan Conner | 2 years ago A Houston couple turned their favorite countryside spot into a retreat for shoppers at the famous antique show. By Ryan Conner | 2 years ago Where to eat, drink, and shop at the twice-yearly antique show. 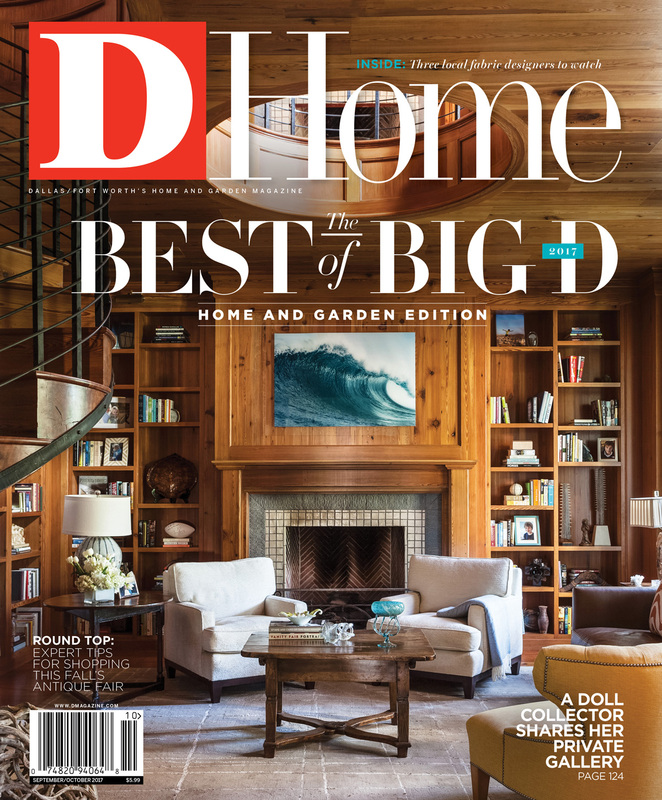 By D Home | 2 years ago Dispatches from More Design + Build, Havana at Home, and more. By Caitlin Clark | 2 years ago From The Gypsy Wagon's latest outpost to a fresh new space in Bishop Arts.